On the doorstep of the Vanoise national park, in France's Savoie region, this new Club Med Resort offers every amenity so you can enjoy the best the mountains have to offer in a magnificent, natural environment. It's in Peisey-Vallandry. Perched 1,600 metres (5,250 ft) high in the Tarentaise valley with its torrents and lakes, larch and spruce trees, the Resort embodies the authentic spirit of France's Savoie mountains. This "hamlet" of typical chalets combines traditional materials with the elegance of contemporary design. The Resort offers refined luxury and sublime wellness in its NUXE Spa* at Club Med. At the foot of the slopes and in the heart of Paradiski domain, it offers all the pleasures of winter sports. Childcare and children's club facilities: Our Resort welcomes children of all ages, with activities adapted to the different age groups and run by professionals. ● Numerous activities for all ages: sport, creative activities and games. La Salle des Coffres is the new exclusive Club Med Passworld space dedicated to young people aged from 11 to 18, where they can discover creative, sports and artistic activities or just enjoy "being there" with their friends. Inspired by the stories and legends of fantasy literature, they can enjoy the challenge of video games, watch their favourite DVDs or sip a fruit juice cocktail at the "l'Autel des offrandes", their very own bar. In the company of their new G.O® friends, they can give free rein to their heart's desires! If you choose a Transport and stay package, it includes the return flights and transfers to and from the Resort. The Resort has 284 spacious rooms in two hotels with two and seven floors, with lift, and a lobby linking the two buildings. The style is contemporary, with warm beige and red tones. A comfortable and elegant room with lounge area, ideal for a family holiday at Club Med. Why not treat yourself to a Valley View or interconnecting Club Room. A spacious room offering generous comfort in an elegant atmosphere, ideal for relaxing after a long walk. Facing Mont Blanc, the Suites are the most beautiful rooms in the Resort. They have a view over Mont Blanc and the valley with a balcony. 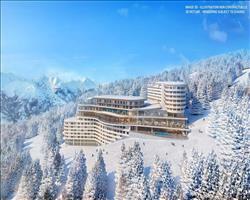 We update Club Med Peisey-Vallandry's details often, but facilities do change. e.g. some extras listed by the supplier as "free" or included might only be for the first time you use them, or for one time per party, then charged for further use. If any specific feature is essential to your holiday, make sure you ask us to confirm the details of it before you book your holiday. This all inclusive holiday to Club Med Peisey-Vallandry in Les Arcs, France departs Sunday 14th April 2019, for a 7 night stay on a "all inclusive" board basis. A local tourist tax (Taxe de Sejour or Kurtaxe) is levied by many councils in European ski resorts. It varies by standard and type of accommodation and is age dependent, so not everyone is charged. It's not included in the basic price of your holiday and is usually paid locally. For reference, the average charged in winter 15/16 was between 50p and £2 per person, per night.
. Ask for a quote when booking Club Med Peisey-Vallandry. 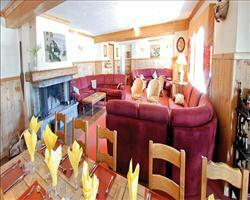 Chalet La Foret Les Arcs France, Gatwick to Grenoble 21st April. Les Arcs Panorama Les Arcs France, Without Flights to Without Flights 21st April.